The exodus of refugees from Nazi Germany in the 1930s has received far more attention from historians, social scientists, and demographers than many other migrations and persecutions in Europe. However, as a result of the overwhelming attention that has been given to the Holocaust within the historiography of Europe and the Second World War, the issues surrounding the flight of people from Nazi Germany prior to 1939 have been seen as Vorgeschichte (pre-history), implicating the Western European democracies and the United States as bystanders only in the impending tragedy. 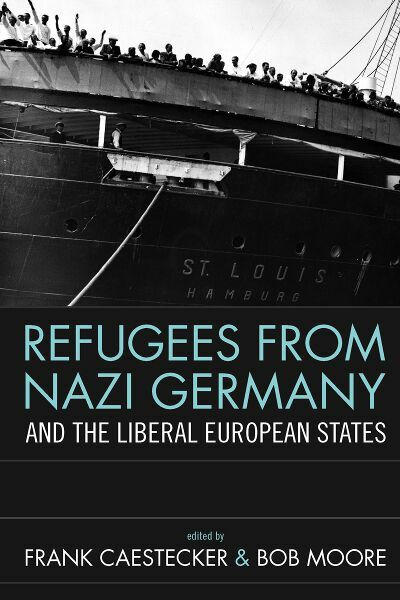 Based on a comparative analysis of national case studies, this volume deals with the challenges that the pre-1939 movement of refugees from Germany and Austria posed to the immigration controls in the countries of interwar Europe. Although Europe takes center-stage, this volume also looks beyond, to the Middle East, Asia and America. This global perspective outlines the constraints under which European policy makers (and the refugees) had to make decisions. By also considering the social implications of policies that became increasingly protectionist and nationalistic, and bringing into focus the similarities and differences between European liberal states in admitting the refugees, it offers an important contribution to the wider field of research on political and administrative practices. Frank Caestecker read history at the University of Ghent and worked as an eligibility officer for UNHCR and the Belgian asylum institution. He completed his graduate studies at the European University Institute in Florence and is now affiliated to the University of Ghent and the University College Ghent, focusing his research on alien policy in the nineteenth- and twentieth centuries and the influence this policy has on migration dynamics. Bob Moore is Professor of Twentieth-Century European History at the University of Sheffield. He has published extensively on the History of the Second World War, and specifically on the Holocaust, the Netherlands, and Prisoners of War. He is currently completing a book about the rescuers of Jews in Western Europe during the Nazi occupation. Chapter 9. Were Unaccompanied Child Refugees a Privileged Class of Refugees in the Liberal States of Europe?